EFF leader Julius Malema said President Cyril Ramaphosa had played ball when it came to demands that he be held accountable for a R500 000 donation Bosasa made to his party election campaign. Malema was explaining the EFF’s lack of disruption to the State of the Nation Address last night. Malema and his fellow MPs stayed seated and did not raise numerous points of order, as has been customary during previous Sonas by Ramaphosa's predecessor Jacob Zuma. Malema said the president went to the public protector and if that was not enough, he also released his submission to the public protector. New National Director of Public Prosecutions Shamila Batohi will be getting a new unit to investigate State capture-specific allegations of corruption, President Cyril Ramaphosa has announced. 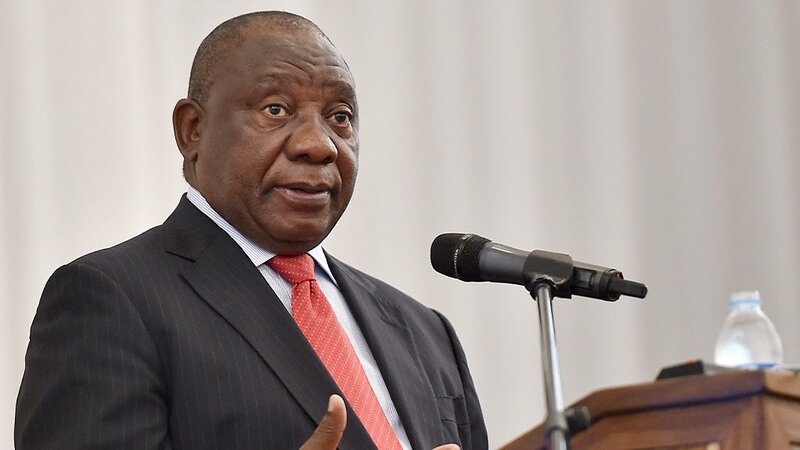 Ramaphosa told both Houses of Parliament during his State of the Nation Address on Thursday that tackling corruption was crucial in dealing with poverty, unemployment and inequality. He said the revelations emerging from the Zondo commission of inquiry into State capture and other commissions are deeply disturbing, as they reveal the breadth and depth of criminal wrongdoing that challenges the very foundation of our democratic state. In reaction to President Cyril Ramaphosa's State of the Nation address on Thursday, Democratic Alliance leader Mmusi Maimane said an immediate plan was needed to get the economy working. He said not much emphasis was highlighted on crime and added that very little was said about ensuring that police work better. He added that little was being done to assure South Africans that people who are corrupt will end up in jail. Maimane voiced his support for newly appointed National Prosecuting Authority head, Shamila Batohi, and said he was a "big fan" of the National Director of Public Prosecutions, but said the NPA needed to be strengthened.